Karim A. Ali, a Partner in Porter Wright's Corporate Department, has been named to Columbus Business First's Forty Under 40 Class of 2012. The Forty Under 40 distinction is given to area business executives who demonstrate outstanding business ethics, work for the betterment of the community and possess exemplary leadership skills. "We could not be more proud of Karim and his many accomplishments," said Robert Tannous, Porter Wright's Chief Operating Partner. 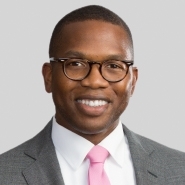 "The Forty Under 40 honor exemplifies Karim's strong dedication to his legal work, the Firm's clients, his peers and the greater Central Ohio community." In its 20th year, the awards honor Central Ohio's best and brightest stars, reviewed and scored on four main criteria including reason for nomination, professional development, awards and recognitions, and community involvement. Ali is a corporate transactional attorney with extensive experience drafting and negotiating retail and office leases as well as real estate acquisitions and dispositions. In addition, he has assisted with various types of business transactions including private placements, mergers and acquisitions, emerging and privately held companies, manufacturing facilities, and electronic financial service providers. Before joining the Firm, Ali served as a real estate attorney at Limited Brands, Inc. The past three years, Ali has been recognized by Ohio Super Lawyers® — Rising Stars Edition. He received a B.A. from Talladega College, an M.B.A. from The Ohio State University Fisher College of Business and a J.D. from The Ohio State University Moritz College of Law. An awards dinner will be held at the Columbus Athenaeum on May 23, and all honorees will be featured in a special supplement to Business First on May 25.